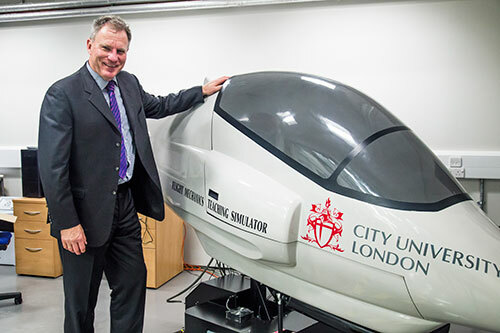 Captain Tilmann Gabriel, Director of City's MSc in Air Transport Management, says 600,000 aircraft pilots will be required in the next twenty years. Ryanair’s announcement that it is cancelling 18,000 flights between November 2017 and March 2018, has understandably evoked the ire of the 400,000 customers affected. And, hot on the heels of news that it was cancelling up to 50 flights a day from mid-September to the end of October, it is facing a PR nightmare and trouble with regulators. Amid the outrage, the reason for the cancellations has been largely lost. The airline said it “messed up in the planning of pilot holidays”. But this is part of a major industry-wide problem. Ryanair might be one of the first to feel the pinch in Europe, but there is a global pilot shortage which has been a long time in the making. The industry currently employs 500,000 professional pilots worldwide and reportedly needs another 600,000 in the next 20 years to cover the retirement of pilots and the 6% growth of another 35,000 airliners entering the global market. Shortfalls of pilots have already hit US airlines this year, starting with small regional ones, and have been visible in India and China for a while now. Ryanair is the first European airline to be hit. The food chain of aircraft type, airline, salary, benefits and personal lifestyle preferences for pilots determines where they look to work. Long gone are the times where pilots were employed for life by one airline. Like employees in most industries these days, pilots are choosing and managing their careers. Low-cost carriers such as Ryanair actually do a superior job in training new pilots into their first airline job, training far more than most other airlines. But the task for Ryanair is never ending, as many pilots will leave after three years – at the end of their initial commitment – when they have gained enough experience. Pilots tend to move on to airlines which give them better pay or working conditions, or offer a more suiting lifestyle such as long-haul flying or different home bases. As Ryanair expands, the demand for pilots is continually growing. Airlines can manage occasional shortfalls with vacation embargoes – where crew are not allowed to take their holiday over a certain period. Sometimes, pilots have accrued several years of vacation and the airline can pay some of it off. But labour laws in Europe provide strong support for employees who want to take their holiday. Plus, when a pilot resigns for a new job, they often leave the next day as they have so many vacation days left, which can cause unforeseen gaps in scheduling. This is a spiral which is hard for an airline to get out of when things get tough. It is a problem clearly forecast but often ignored, resulting in the need for airlines to apply quick and costly solutions. An industry which is producing US$5.6 trillion worth of aircraft in the next 20 years will have to get serious about tackling this shortfall as a combined and global challenge. Immediate bonus payments after a certain commitment time are already common practice. So the salary structure and the benefits of a pilot will need to quickly improve. Pilots take a long time to train. Next to finding a large number of interested students for the recruitment and assessment, each student has to currently bring £100,000 to the flight school for the 18-24 month training programme, which they pay for themselves. They then have to undergo specific type-training (each aircraft type needs a specific license) and gain 1,500 hours in a multi-crew environment to earn a full professional Airline Transport Pilot license. Typically, this takes two to three years, where the airline pays a reduced salary, covers the initial type rating costs of £30,000 and commits the pilot to the airline that pays for it. 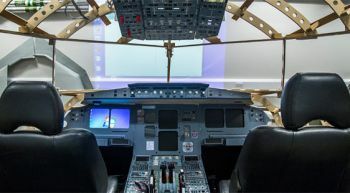 The cost for the initial training is prohibitive for many students who would like to get into the pilot profession. Solutions such as sponsorship and bank credits could be explored. In the past this career choice was left completely to the interested student. But not enough pilots are being trained this way, for example new professional licenses declined from 2015 to 2016 by 9% in the UK. Then there’s a further issue that not all students go on to get jobs immediately, as airline assessments happen only after pilot training is completed and a proportion of students fail. It’s clear that training schools, airlines and other related institutions must work together to find sustainable solutions to this crisis. The attractiveness of careers as an airline pilot as well as job opportunities and mentoring for new pilots must be addressed. Young people have a range of opportunities for interesting careers. So it must remain attractive from a regional and global perspective. The salaries and benefits from airlines are part of this, as is support for training costs, either direct or via industry-based funding institutions. Otherwise airlines will pay for the shortfall in the long run. An aircraft which is parked due to a shortfall of pilots is costly. The monthly lease rate of US$200,000 to US$700,000 per aircraft still has to be paid, which, together with the lost revenues and other provisional costs, easily amounts to a few million dollars per parked aircraft each month. Not to mention the PR nightmare from flight cancellations. Ryanair must develop a strategy which secures a regular intake of pilots, acknowledging that these employees are key to its operations and need to be looked after and mentored. The fact that its main competitor EasyJet has no pilot problems at this time is a clear sign that a well-treated pilot workforce is proof of success.